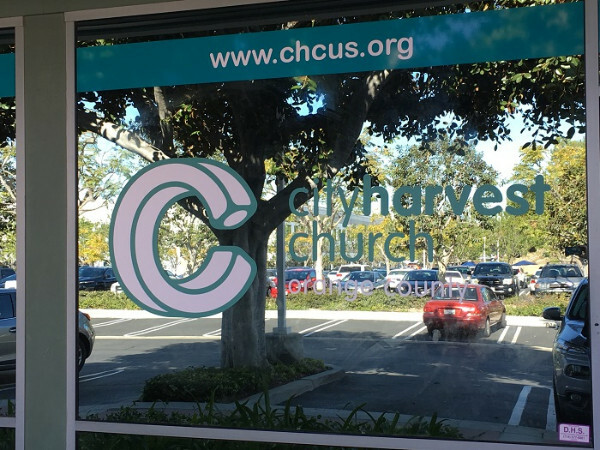 Ordering customized graphics and signs for churches in Orange County, CA, does more than making your building’s front look appealing. It gives you an opportunity to put a face on your faith community that is welcoming to outsiders and former members. Those searching for a relationship with a higher power can feel out of place when approaching a building with little or no signage. In contrast, they feel much more at ease and more likely to come to the next scheduled service if the signage is large and gives away a little bit about the church family that worships there. Case in point is the City Harvest Church. You may remember the name because we previously did some window graphics for this faith community. The messages that the organization commissioned included the name and logo as well as the motto, “love God, love people, love life.” This display gives potential newcomers a good feel for the group. Just recently, the church called us back to put up a building sign. The marker also features the logo that passersby already know from the window graphics that we installed. After consulting with the group’s representative, we designed a channel letter sign that would be front lit, which means that the light escapes through the front of the letters. By the way, the unique display of the church’s logo and custom color requirement led us to suggest the use of digitally printed faces. 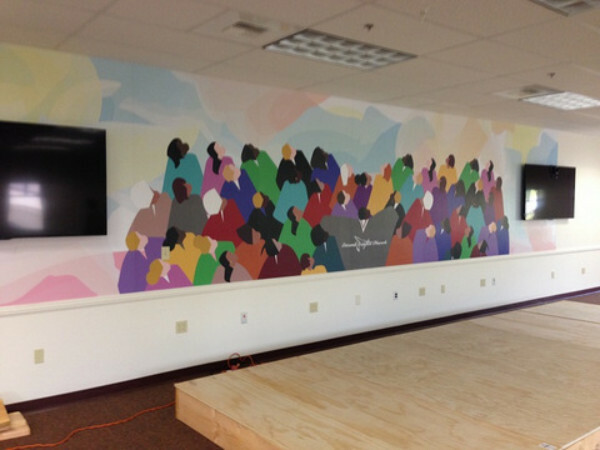 Doing so allowed us to achieve a perfect color match and a crisp rendition of the logo. We installed the letters to a raceway because the upper portion of the church’s façade features a concrete trellis that made a direct wall installation impractical. Dimensional letter signs very popular! 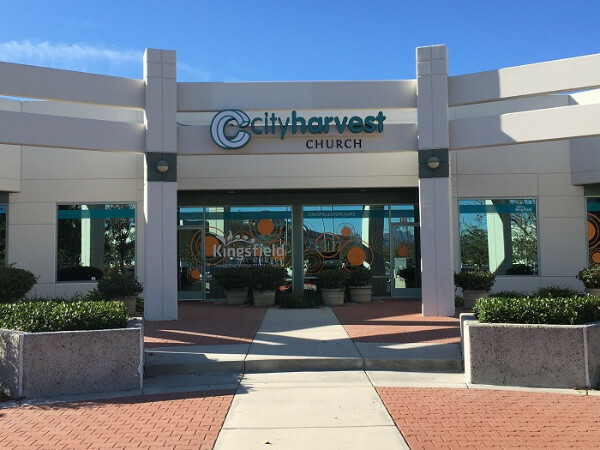 Whether you are establishing a congregation in a new building, recently finished remodeling an existing structure or are setting up your faith community in a strip mall storefront, the right signage combination generates interest and acts as a welcoming beacon to a passerby. Building sign. Choose a building sign that allows you to stand out. Dimensional or channel letters, a shingle sign or a lit box cabinet can be excellent options. Our experts can help you decide which type would work best in the area where you meet. Window graphics. 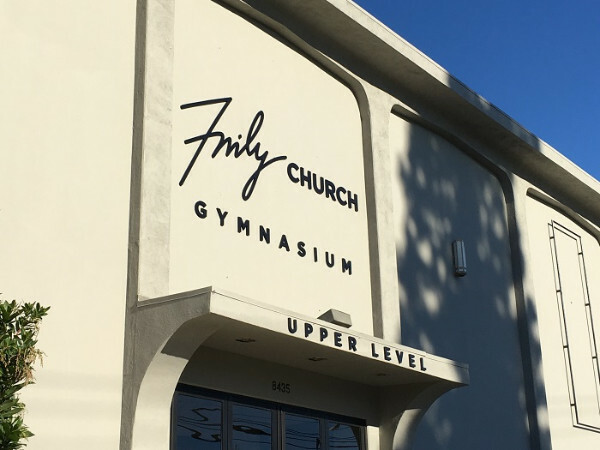 Lettering spells out the name of your church and offers an opportunity to display contact information as well as the worship service schedule. This is also a good opportunity to introduce your ministry staff by name and mention the children’s program that you offer. Interior signage. Communicating with passersby does not stop with the exterior of the building. A lobby sign, donor tree, wayfinding markers and a broad range of wall graphics turn a building’s walls into a welcoming mix of information and opportunities for a visitor to feel that she or he could easily belong there. Contact our graphic artists today to find out more about the variety of affordable signage solutions that would be ideal for your faith community. We work with any budget to put together a signage suite that represents your group. Contact us today to learn more.